Lara Crofts best adventure yet. 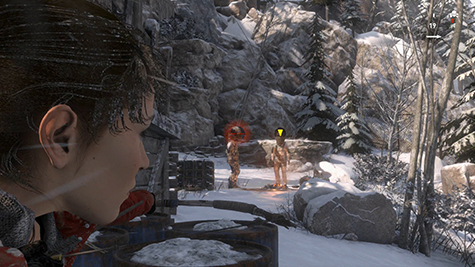 Check out Kidzworlds review of Rise Of The Tomb Raider, for Xbox One, right here. Action and adventure. Engaging story and likable characters. Imaginative puzzles and some truly gorgeous visuals punctuated by a solid score. Rise Of The Tomb Raider on Xbox One features all of this in spades and has quickly become one of my favorite games of the current generation. Following the events of the 2013 reboot Tomb Raider, Lara Croft now finds herself a little obsessed over her father's death and his findings on eternal life. Many think him to be crazy but Lara knows there's more to the story. A mysterious group known as Trinity is also is out for the power of immortality. But what should happen if it were to fall into the wrong hands? Lara must find the source of this power first, no matter the cost. 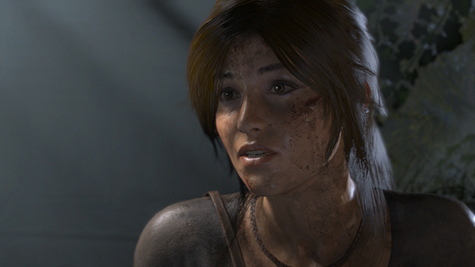 Lara is determined to prove her father right. The story had me engaged the entire time, thanks to some decent writing and nice performances from the leads. During the final few moments, I was leaning forward in my seat, a huge grin on my face. I truly felt satisfied when the credits rolled and was a little sad the adventure was over, realizing that I wanted to spend more time with the characters. I became so attached to Lara during my play time that I felt for her when she was badly injured. Going so far as to stop and warm her hands when I came across open flames. That's powerful stuff. It's easy to get so wrapped up in the characters and invested in the world when everything looks as gorgeous as it does. 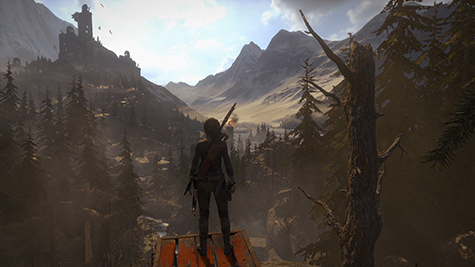 You can safely argue that Rise Of The Tomb Raider is the best looking game on current gen so far. Maybe not consistently, but certainly at times. Over and over have I found myself stopping to stare at the nearly photo realistic images in front of me. 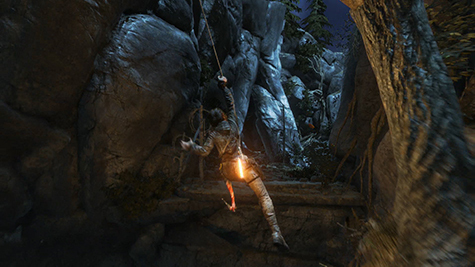 Lara can climb with the best of them. The lighting and texture work is fantastic overall. There's great use of color and Lara has some wonderful animations, like ringing her hair out when emerging from water, or grapple hooking mid air. Environments are varied and always interesting to explore as well. The big open spaces providing believable landscapes teeming with life and all sorts of caves, tombs and crypts to discover. 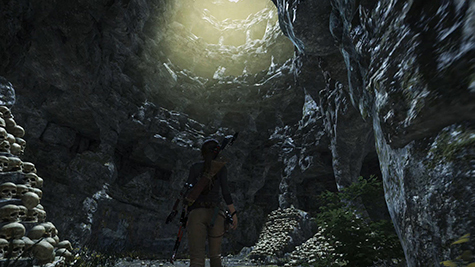 Rise Of The Tomb Raider is gorgeous at times. Speaking of tombs, the challenge tombs make a return and this time there a more of them. All of them being well designed, offering just the right amount of challenge, if not always the length I had hoped. It would have been nice to see a couple tombs sneak into the main story line, but optional or not, they are here and they're pretty great. Often just getting to the tombs entrance is a journey in and of itself. Tombs are always fun to discover. Through exploration, you'll find parts to assemble new weapons and new friends with side missions, which can reward new gear such as a lock pick or outfits with bonus perks. Lara's gear can be upgraded with animal pelts, rare ores and other materials. 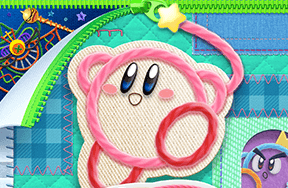 And as you gain new abilities and play through the story, the world opens up more and more, allowing you to get to previously inaccessible areas. Use your grapple hook to reach far ledges. 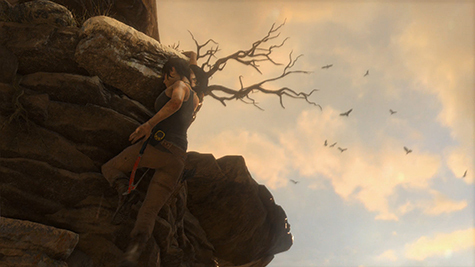 Gameplay is a balanced mix of exploration and combat with Lara's new abilities making the latter a more enjoyable experience than ever. Stealth, often but not always, a viable option. No matter your approach, things are always exciting. Climb up trees and stealth kill enemies. Pull them into bushes or drag them under water. Or just go commando, guns blazing. Never has Lara been more of a badass and I love it. Sure, it may be a little over the top at times, but it's entertaining and feels really great in action. 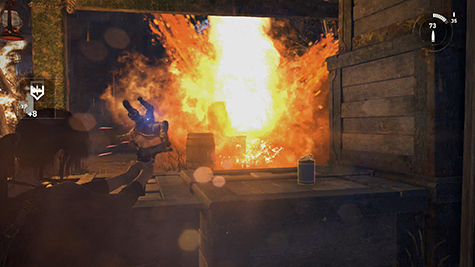 Lara won't always shy away from a fire fight. The only sour note in Rise Of The Tomb Raider's gameplay is the weapon aiming and even then, it's only a problem in really intense moments but at times, it feels a little loose in the sweet spot. No matter how I adjusted the sensitivity slider. When given time to aim though, things are smooth as butter. Running across crumbling mountains, swimming in deep under ground caves, zip lining over roof tops. Rise Of The Tomb Raider had my heart racing a few times. 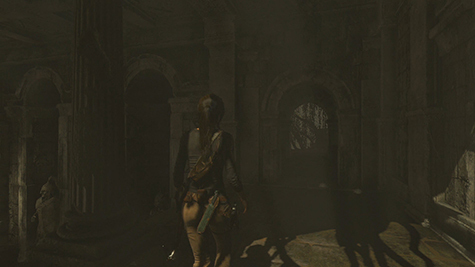 By the end of my adventure, Lara could put Indian Jones to shame with her tomb raiding prowess. Beautiful landscapes with all sorts of tombs to discover. If wondering about overall game length, I wrapped up the campaign and all the challenge tombs in roughly 17 hours and that's with some other random exploring as well. I still have many collectibles to find and upgrades to craft, so the adventuring isn't over yet either. Unlock 'Big Head' mode for a good giggle. After completing the campaign, you can play any story mission at will, bump difficulties up and play them with your newly acquired gear. 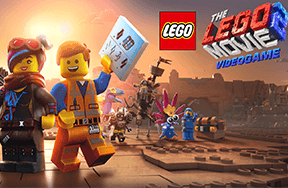 There are also leader boards where you can challenge your friends to see who can rack up the most points in a section and bonus cards that add unique challenges to the gameplay, or silly gags like being able to shoot explosive chickens or giving Lara and her enemies giant heads. I can't recommend Rise Of The Tomb Raider enough. It's stunning to see in action, plays great and features likable characters in a fun and exciting adventure about immortality. It may not bring a ton of new ideas to the genre but it certainly delivers one of the most satisfying games of the year. Rated M - Available now on Xbox One (reviewed) and Xbox 360. Coming later on PC and PS4. 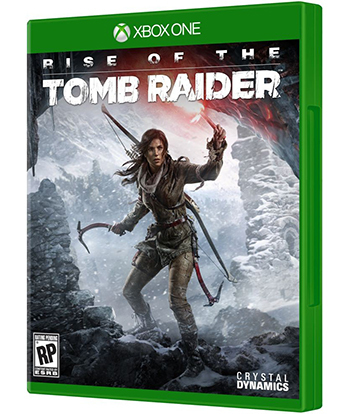 Are you going to ask for Rise Of The Tomb Raider this holiday? Let us know in the comments! Which Tomb Raider vehicle would you like to drive? 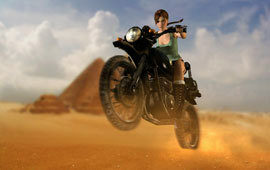 Lara's wicked motor bike gets serious speed. Lara's Defender Land Rover can take on any terrain. I would love to have a Hummer cuz they're invincible. A hovercraft is the ultimate vehicle.